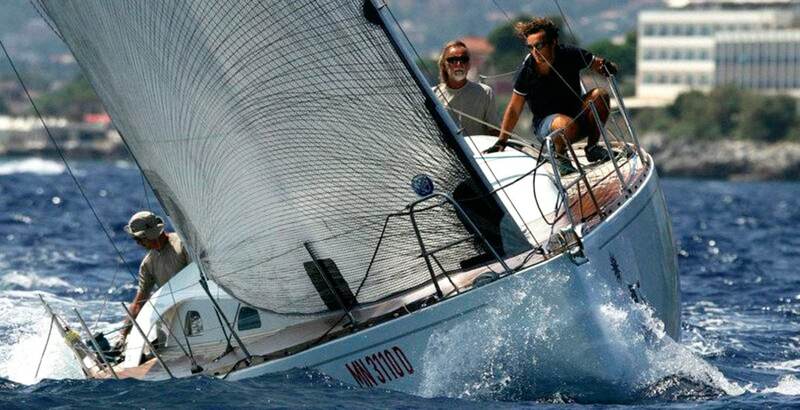 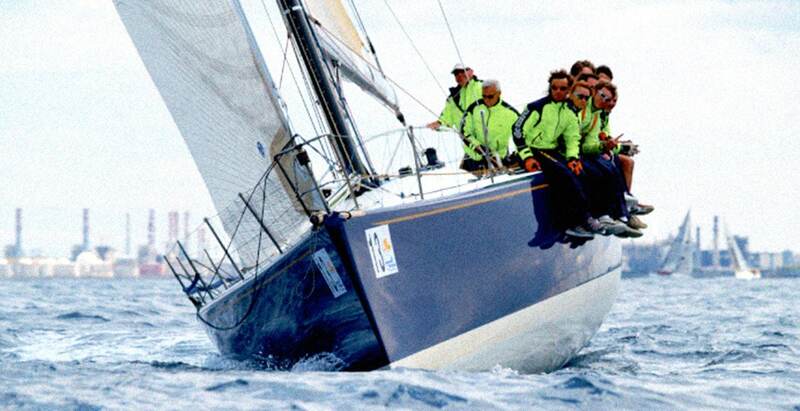 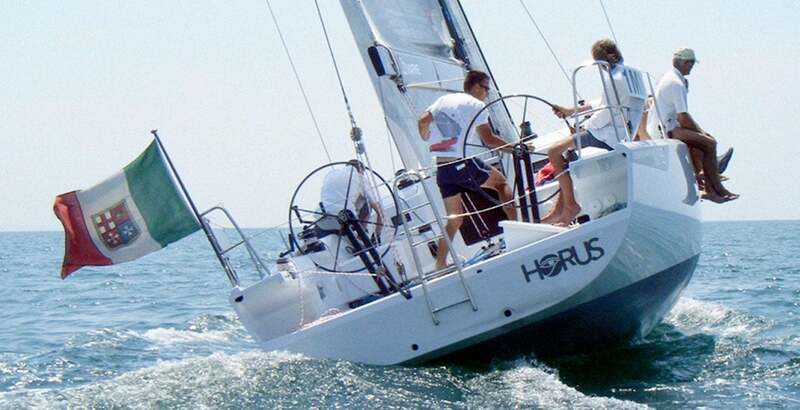 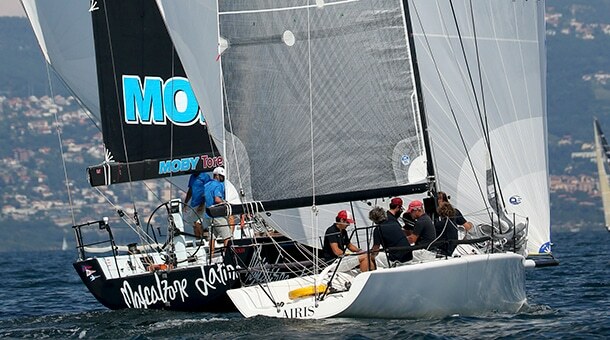 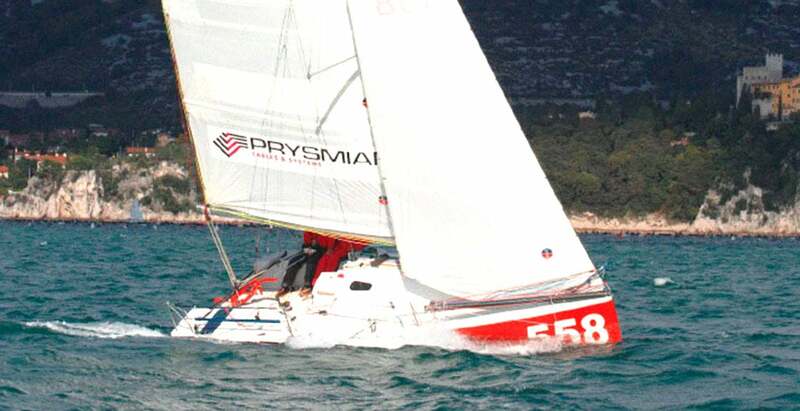 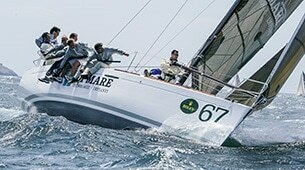 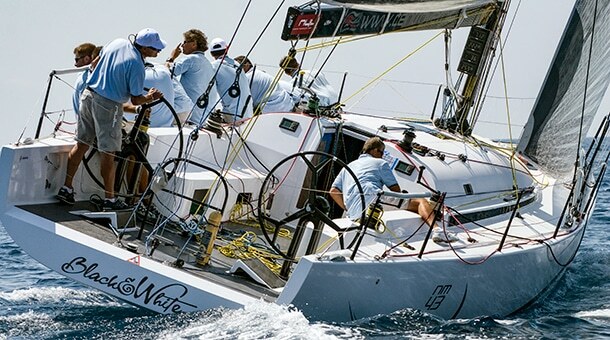 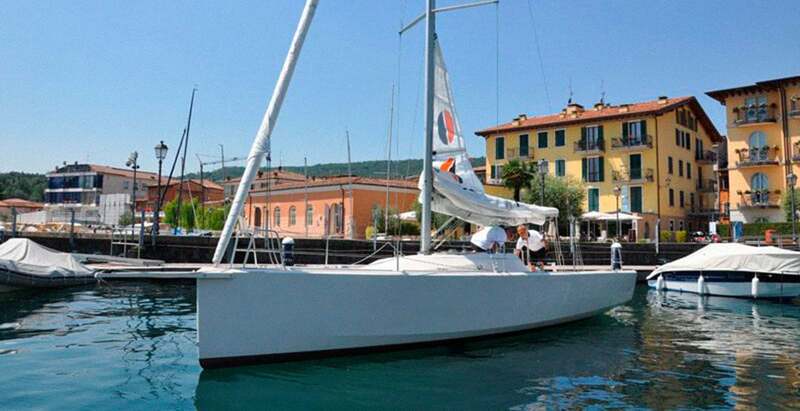 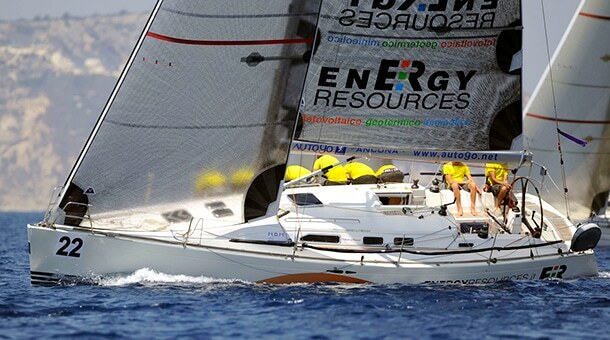 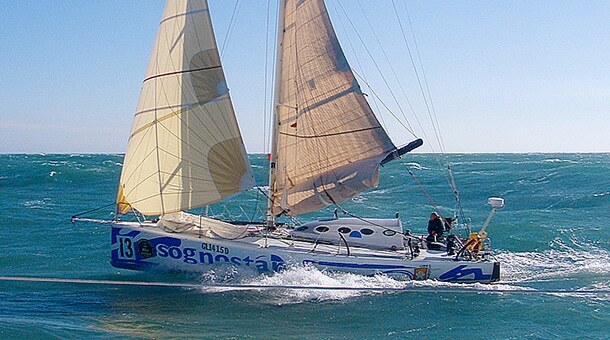 From the mold of the Mini Proto Man@Work, which demonstrated excellent performances both in Italy (Rome for Two) and in France (Mini Fastnet), was born the project of the Twister 6.50, to compete in the category reserved for the series boat, more affordable and with a larger marketing possibility. 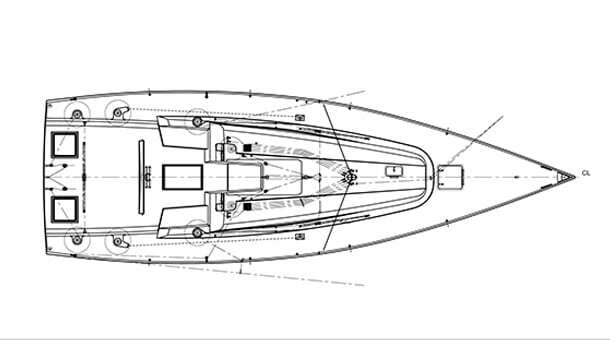 The “working group” involved was the same that worked together on Man@Work prototype, composed by Maurizio Cossutti for the design, Claudio Gardossi for the construction and Francesco Pelizza for hull-deck structures. 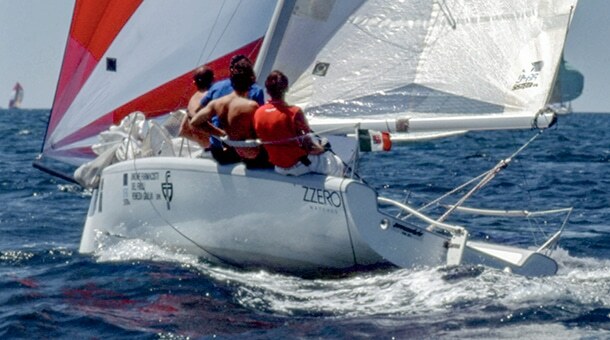 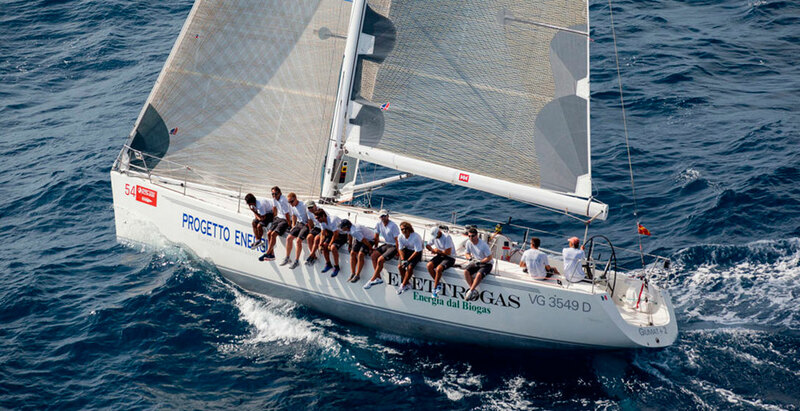 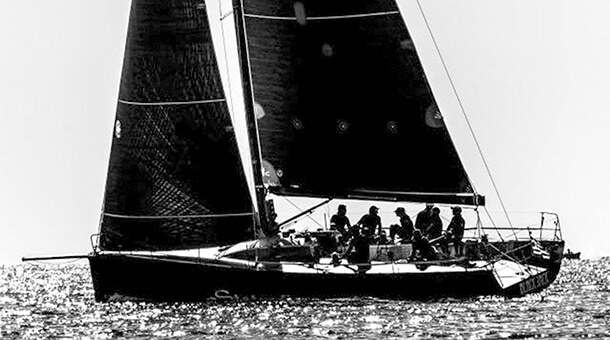 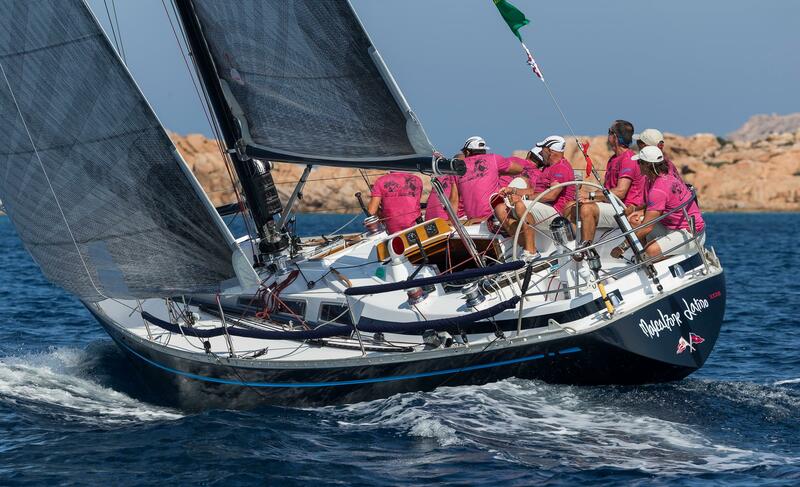 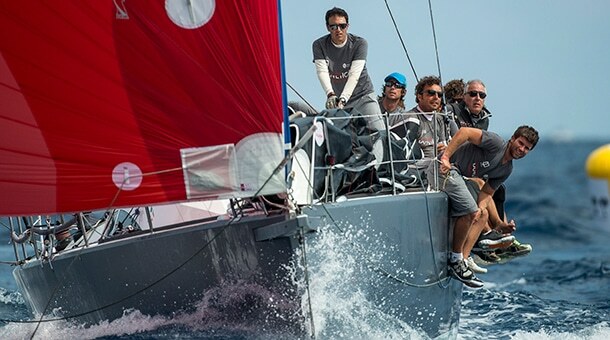 Interesting to note that both Francesco and Claudio were formerly “ministes” with many races experienced in this class, including the Minitransat herself. 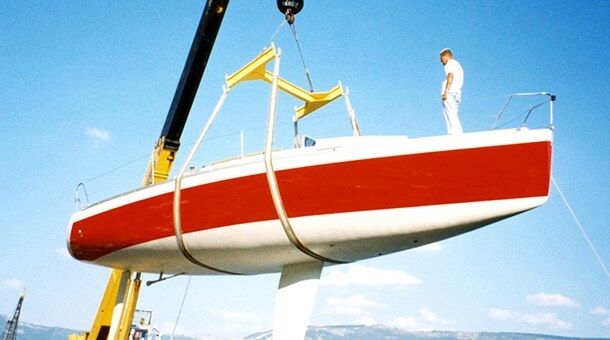 The water lines were derived from the prototype, from whom was also borrowed the numerical simulation research for fin and rudder profiles run with a powerful CFD program. 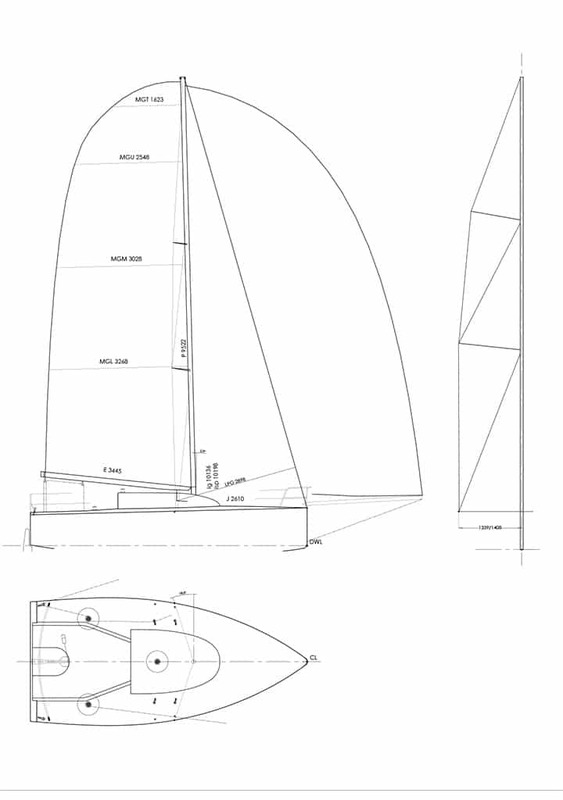 The building process was different, being forced by Class Rules to use of polyester resins and single skin lamination for the hull, but despite of the rules constraint only orientated biaxial and unidirectional fabrics laid down according to the stress map, were used in an effort to get the best possible rigidity. 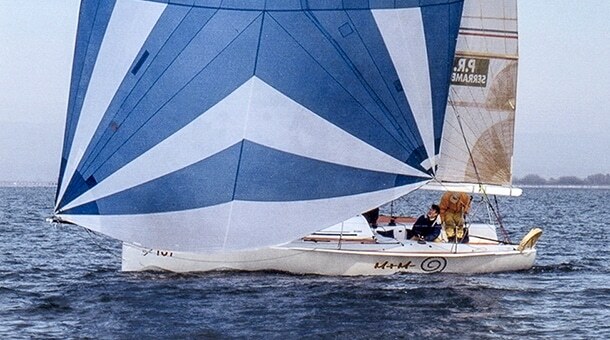 By regulation the mast was in aluminum with two sets of swept back spreaders near the gunwale with a double masthead runners-backstays, and lower shrouds in order to have a perfect control tof mast bending also at the level of the boom. 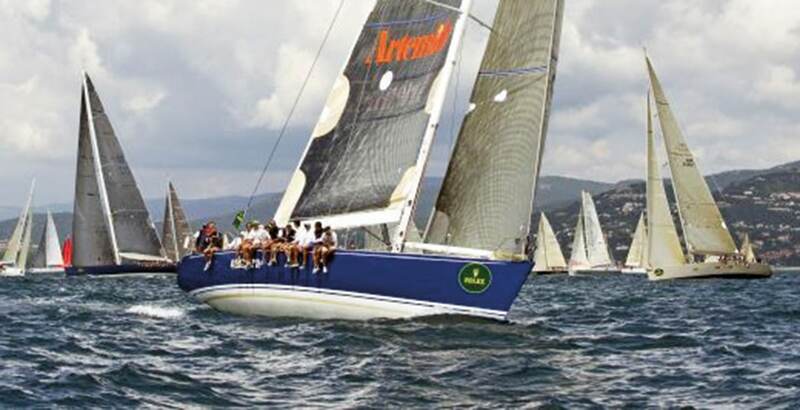 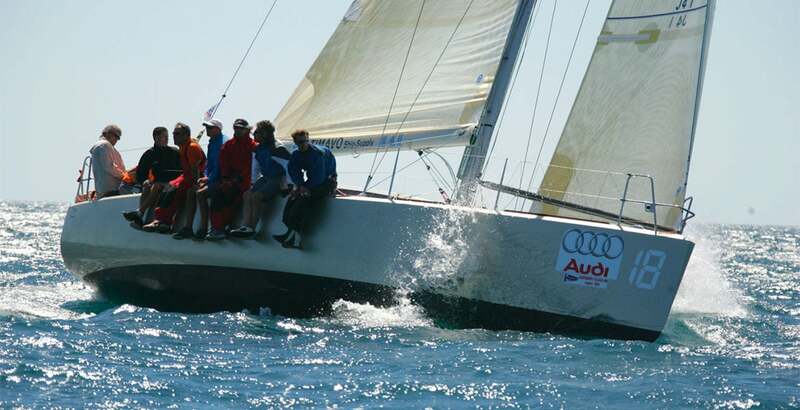 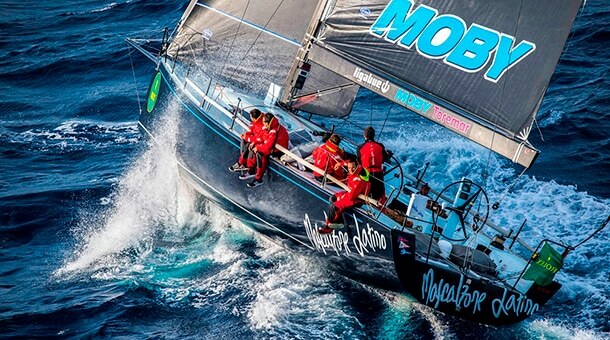 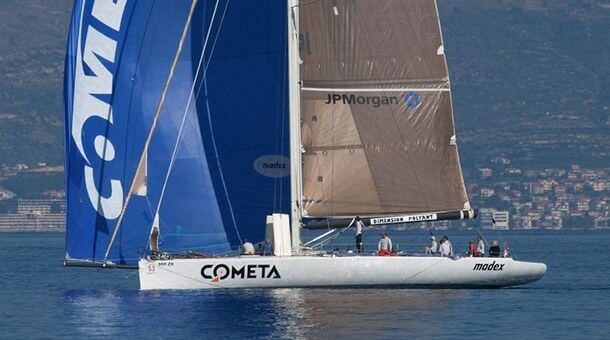 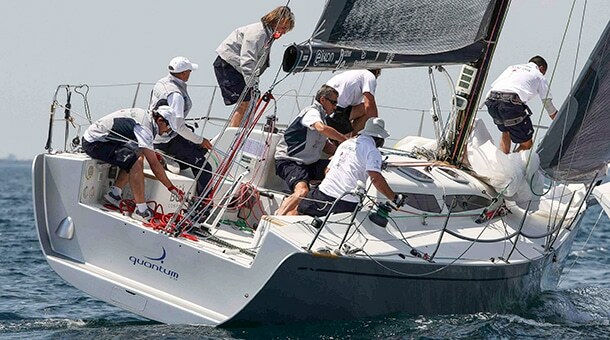 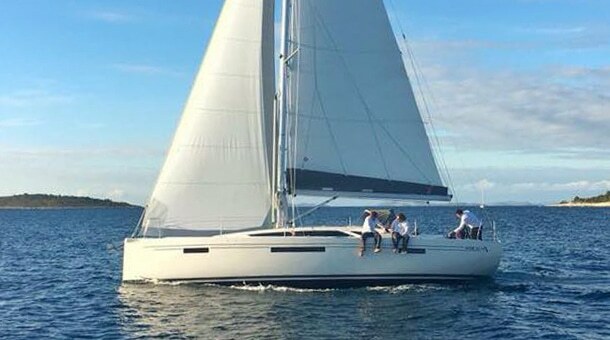 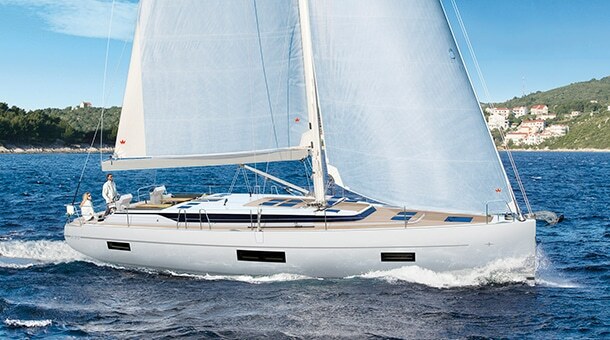 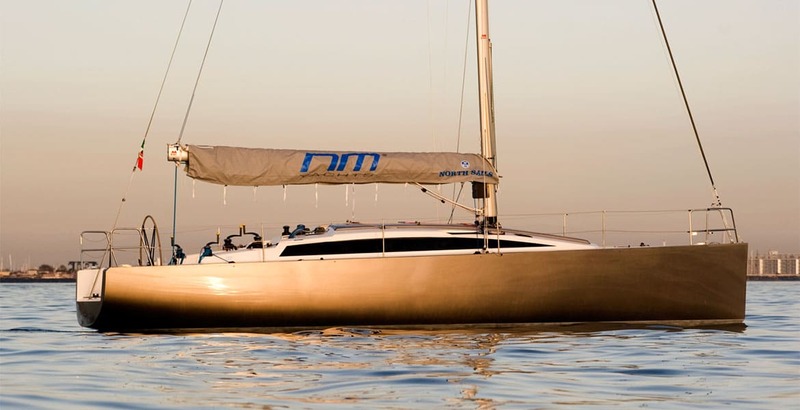 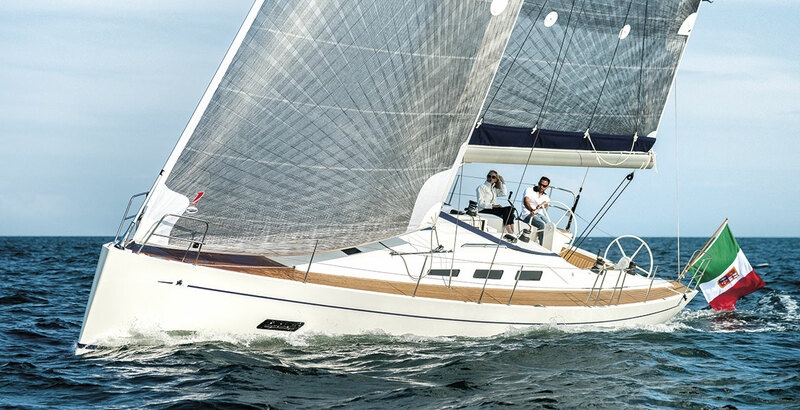 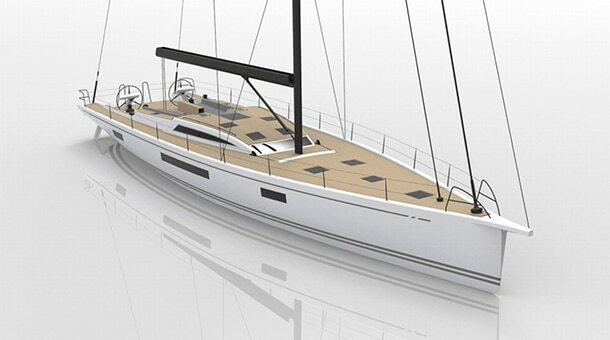 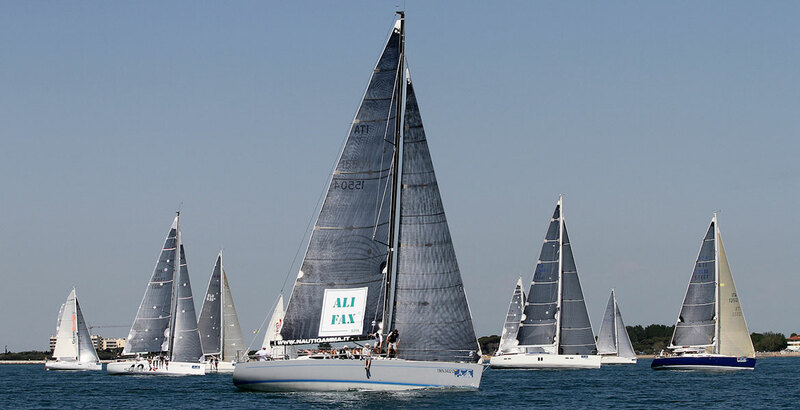 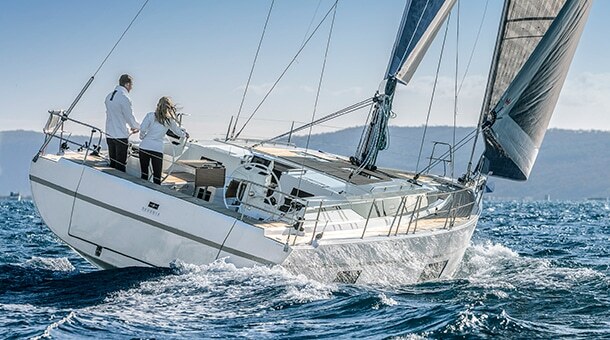 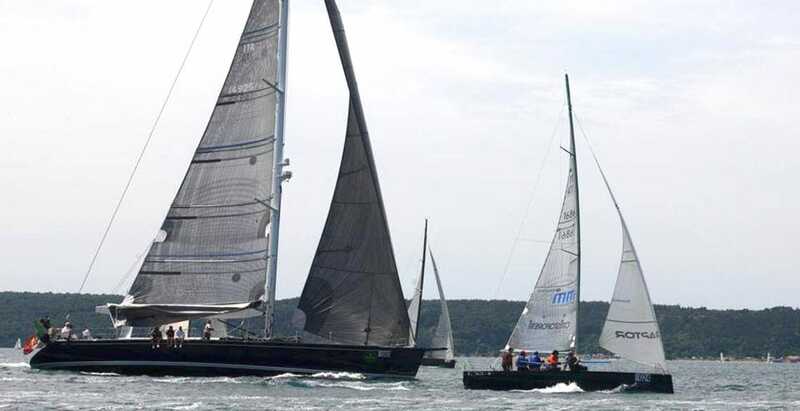 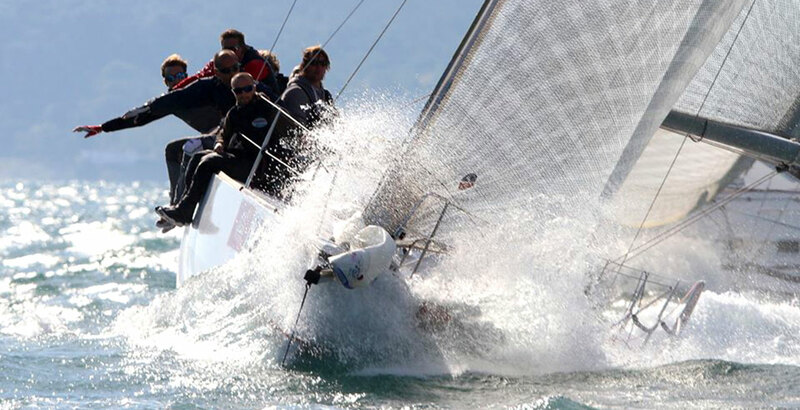 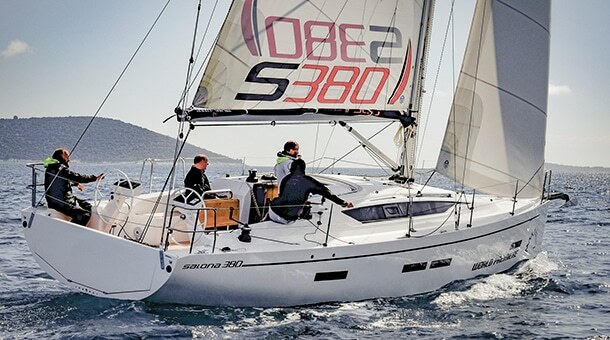 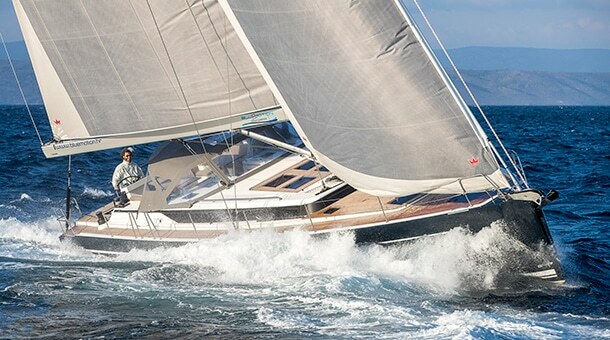 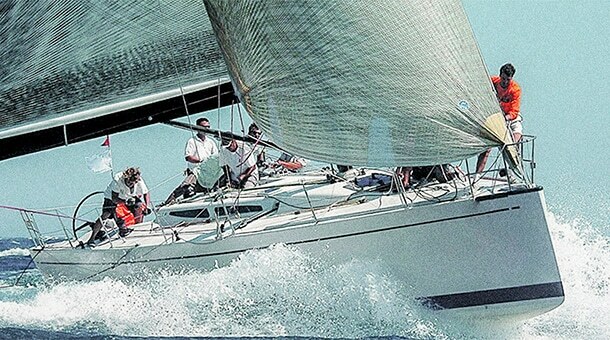 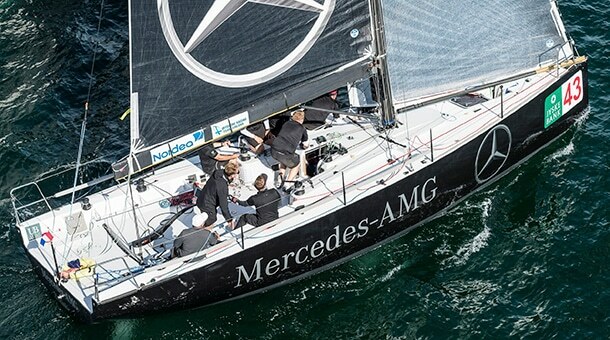 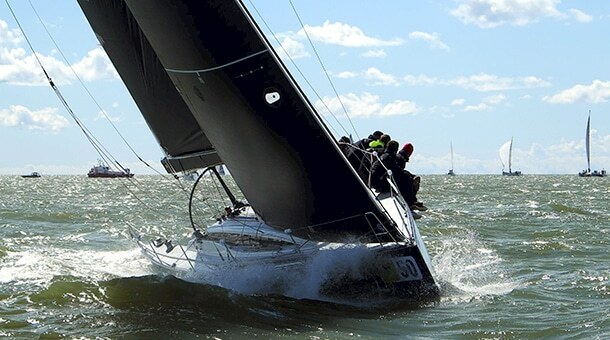 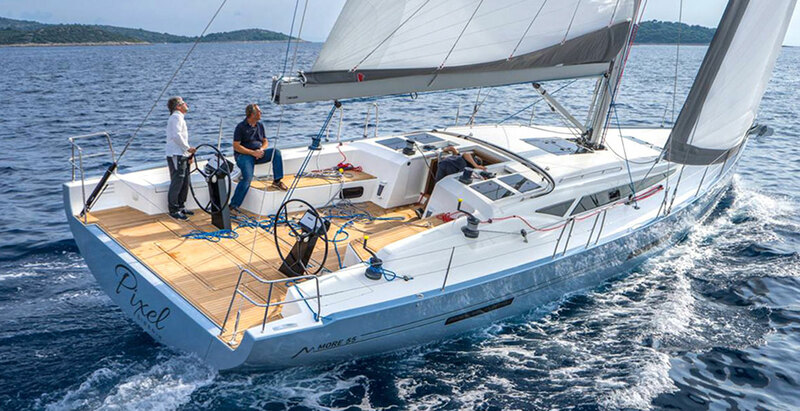 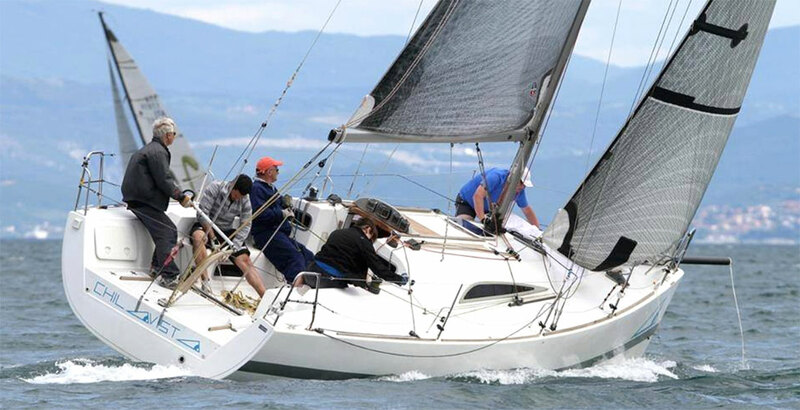 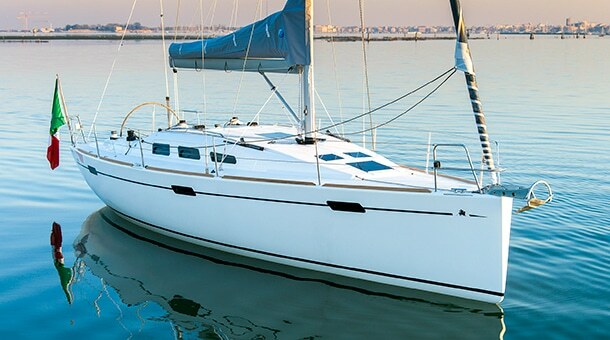 The fixed keel had the wing part in high-strength steel with a lead bulb also designed using ultra-laminar sections within the draft limit of 1.60 m allowed by the regulation.